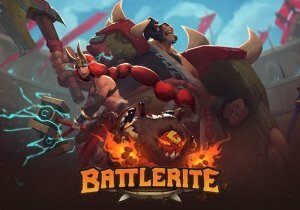 Stunlock Studios has officially reached their first year anniversary of Battlerite’s launch, and are celebrating on both it and Battlerite Royale. From November 7th until 14th, Stunlock Studios will introduce Anniversary Chests in both games. These can be obtained through completing in-game quests, players will also receive one on November 8th by logging in. These chests include items from all previous game events: “Legends of Quna”, “Frozen Mist”, “Prehistoric Mania”, and “Curse of the Night”. In addition, a Champion well known by the arena fans, Ezmo “The Mischievous”, is entering Battlerite Royale. An aggressive spellcaster who can move quickly utilizing teleportation, Ezmo was once imprisoned by the warlock, Aradu The Reserved, but managed to escape. The story is fun, and it’s interesting. Sure, there are bound to be gaffes, typos, or other things, but that’s the bane of any good RPG. Lunarch Studios has announced that its hybrid strategy game Prismata will go free-to-play on September 26.